Mac Jones and Taulia Tagovailoa are both on the White team. At this stage, it’s close to a dead heat between those two for the primary backup job. Paul Tyson is on the Crimson team with Tua Tagovailoa. DJ Dale is on the White team alongside Raekwon Davis and LaBryan Ray. Phidarian Mathis is on the Crimson team, which suggests that Dale has indeed emerged as the frontrunner in the middle as a true freshman. 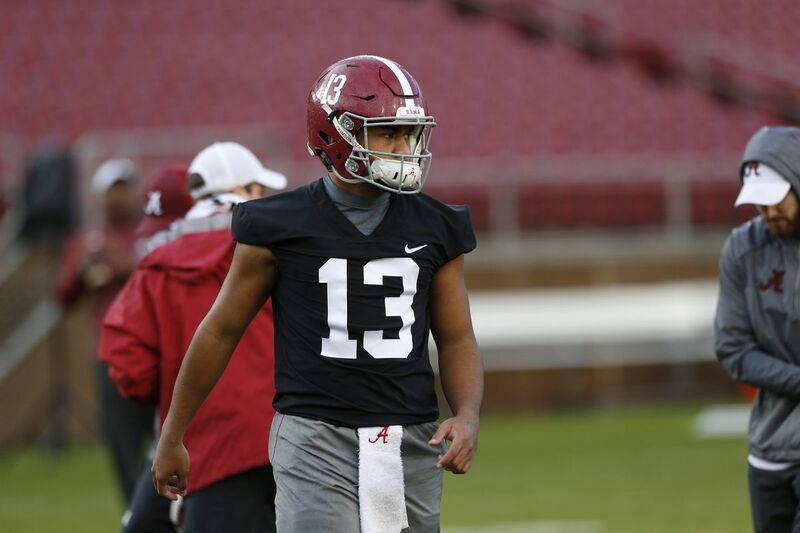 Saban mentioned in his last press conference that he wanted to put one of what he considers four starters at WR on the White team, and that turned out to be Jaylen Waddle. Seeing Waddle alongside Xavier Williams offers a glimpse of the future. Will Reichard is on the White team and listed only as a PK. Mike Bernier is listed as the White team punter despite reportedly entering the transfer portal. Joseph Bulovas and Skyler DeLong man those respective positions for the Crimson team. Everything else is about what you’d expect and what has been observed throughout camp. Should be a great time.